1. Fill the jar to the top with cold water (tap, filtered, or carbonated for an extra kick). 2. 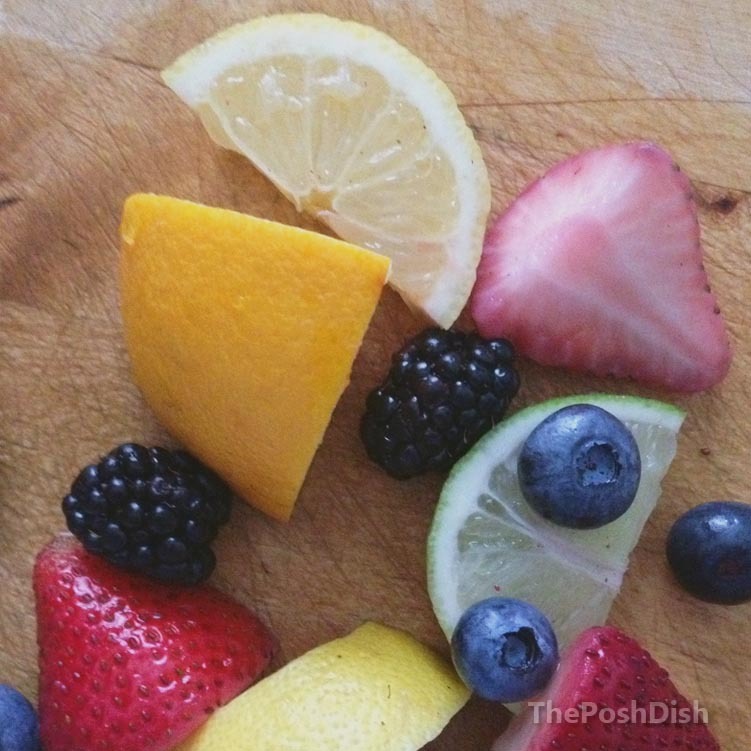 Wash and cut your fruit, throw them into the water. 3. 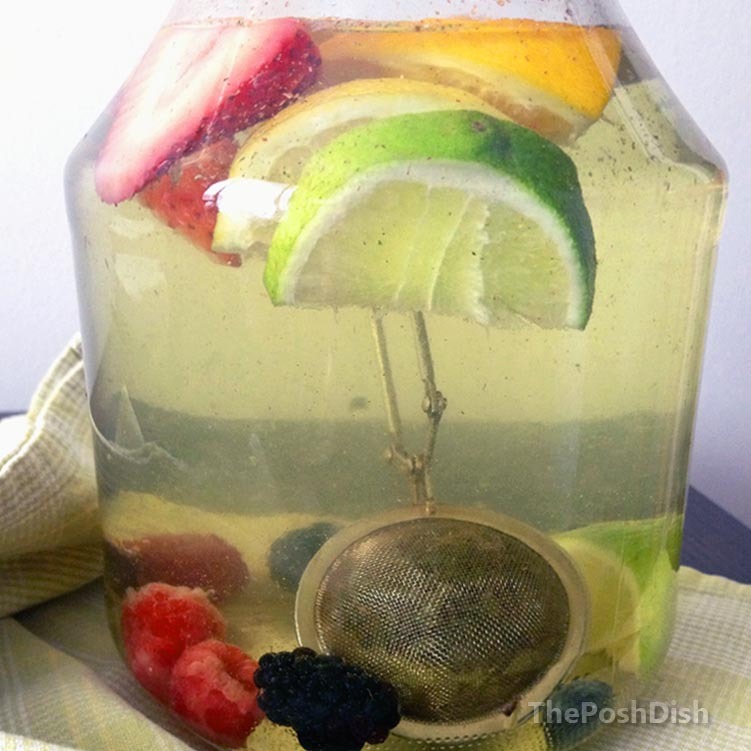 Scoop your tea into a steeper and place it into the jar. Use 2 teabags instead if you don’t have loose leaf tea and a steeper. 4. Let the mix sit and infuse in a cool place, preferably the fridge for about 3 hours. Serve it chilled over ice or pour into a reusable bottle for health on the go.